Marsh meant to turn down York’s offer. It was too full of secrets that spelled danger. But the promise of both gold and a grand new boat that could make history crushed his resolve - coupled with the terrible force of York’s mesmerizing gaze. Not until the maiden voyage of his new sidewheeler Fevre Dream would Marsh realize he had joined a mission both more sinister, and perhaps more noble, than his most fantastic nightmare...and mankind’s most impossible dream. Here is the spellbinding tale of a vampire’s quest to unite his race with humanity, of a garrulous riverman’s dream of immortality, and of the undying legends of the steamboat era and a majestic, ancient river. Any one who enjoys an old theme with a new and unexpected twist will enjoy this book 10 times over. For there are at least as many twists as that, with charactors you'll love to hate, hate to love, and some that are truly revolting. One thing I can promise you is that you will NEVER forget this book or it's charactors. Have you listened to any of Ron Donachie’s other performances before? How does this one compare? As a narrator, Ron Donachie, ranks among one of the best I have listened to. 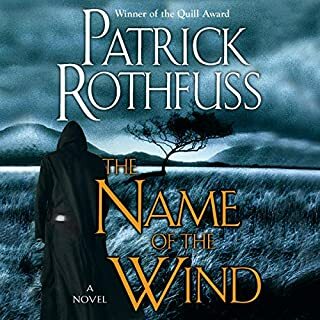 He brings you through this awesome story feeling as if you could reach out and touch not only the charactors but the world in which they live. This is not a typical vampire story. It is not a typical George R. R. Martin fantasy. The vampires are more like Barnabas Collins of "Dark Shadows" and Louis and Lestat of the Ann Rice novels than the Transylvanian Count, but they soon stand beyond comparison. Imagine Jonathan Harker morphed into Mark Twain. Sour Billy Tipton fills the Renfrew role, but you won't even remember who Renfrew was within 30 seconds of meeting Sour Billy. So I guess I'd better stop with the similes and just say that this book defies categorization. It's not set in any of Martin's famous fantasy worlds, but travels up and down the Mississippi River and its tributaries in the magnificent steam paddlewheelers of the mid nineteenth century, one of which is the eponymous "Fevre Dream." From New Orleans to the shipyards of New Albany, Indiana, with stops in plantations and cities, the saga flows on Ol' Man River. And yes, there will be a race and an on-board fire (reference the famous "Robert E. Lee"). 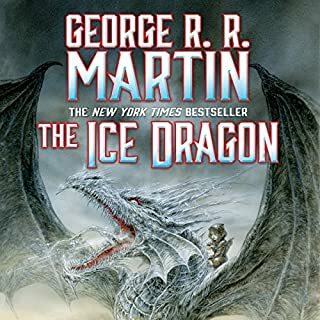 George R. R. Martin can create a full-blown minor character with a few strokes of the keyboard, and his major characters are indelibly etched within one chapter of meeting them. 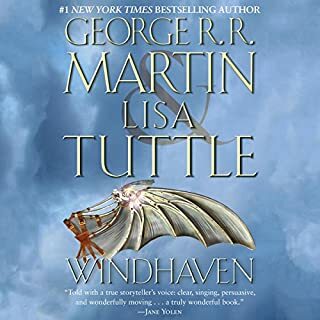 This artistry reaches its peak, in my opinion, in "Game of Thrones" and "Clash of Kings," the first two volumes of "Song of Ice and Fire," but it's plenty evident in "Fevre Dream." Martin is simply a magnificent writer. As good as Martin's written words are, I suggest listening to this version rather than reading the book. The Scottish actor Ron Donachie doesn't narrate the book, he performs it. Donachie played Ser Rodrik, Winterfell's master-at-arms, in HBO's "Game of Thrones," and I like to think (though of course I don't know) that he and Martin are friends. Friend or not, Donachie does Martin's novel full justice. I cut my teeth on the Adventures of Tom Sawyer and Huckleberry Finn; reading the 2 books (especially HBF) so many times I could quote whole passages before I knew what half the words meant. A world away from my world of beaches, surfers, and fish tacos--nothing was more intoxicating to think about than that big mysterious river, dark spooky swamps, and steamboats, (and alligators seemed much more menacing than sharks). My kids hated being dragged onto Disneyland's Mark Twain Riverboat, but I did it every time, this dork, looking down from the top deck, mesmerized by those big paddles churning in the murky green water... I mention this because I think many of us have at some time in our lives been intrigued by that mighty American river and the thrill of captaining our own raft to explore its secrets. 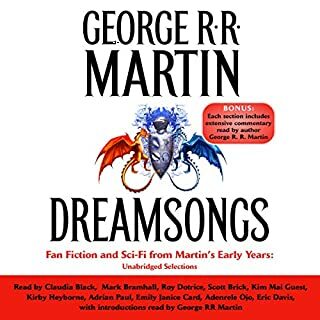 Knowing I was not a fan of fantasy, had never heard of G.R.R.M., my son badgered me relentlessly until I agreed to read A Game of Thrones, (I agreed if he would read Bury My Heart at Wounded Knee). Finishing, I bought the remaining 4 books and plowed through the series like Sherman went through the South. I discovered that Martin is an artist and an original, creating dimensional characters and thrilling stories far beyond the realm of fantasy. His worlds are ingenious, magical, and convincing; they swallow you. 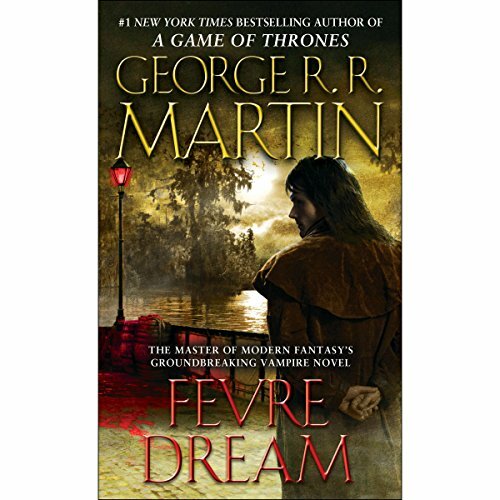 Martin is everywhere right now, (HBO series starting up again) and when I saw a list of his books featuring Fevre Dream...steamboat, vampires, and the Mississippi... I knew this was no Twain, but the intrigue! The noble-ish Marsh and cantankerous York (the Yosemite Sam of the Mississippi) are a disparate and fascinating pairing, Damon Julian is what vampires devolve into when their ties to a once mortal life are completely forgotten, Billy Tipton is horribly wonderful. The "boat parties" are like scenes from Poe's Masque of the Red Death. That is what worked for me. What didn't work was the detail that is such a hallmark of Martin. The book seemed bogged with descriptions that went on and on, and York's fondness for peppering his sentences with "G-damned" added at least a quarter of the pages. Martin masters the stage settings, I had to pull myself out of this book-- but with all of the promise, I missed having more story about the characters besides York, more action on the river once the boat is turned into a vampire, more depth. I liked this unique approach, will never shake these scenes out of my head, but I prefer Martin's dragon stories to his vampire stories. My favorite vampire story yet! I love a good vampire story and I am not talking about glittery vampires, I am talking about blood thirsty vampires. Vampires are not my favorite story line but, I do get wrapped up in them from time to time. This story is well written with a great narrator. The characters are gripping and the story is complete. I really enjoyed this one a lot. Excellent read, this is one of RR Martins best. You will learn about the steamboat era with a new spin on Vampires as a back drop. He did borrow a bit from "Interview with a Vampire" at least the exotic mulato women victims. 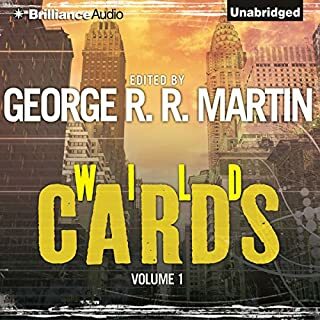 Go Down the Mississippi with GRRM and Vampires! There’s a lot of talk these days about vampire fatigue, and whether or not vampires should hole up in their coffins for a few years until they figure out how to be scary or interesting again. George R.R. Martin’s Fevre Dream probably isn’t going to change anyone’s mind about the state of vampires in literature, and since the book was written in 1982, that’s really only fair. It is, however, solid proof that vampire stories can be laced with horror and rollicking adventure, and for those of us who like them that way, it's a hell of a good time. Mississippi River, 1850s. Abner Marsh is a down-on-his-luck riverboat captain until a mysterious man named Joshua York makes him an offer he can't refuse: buying and building a new steamboat to Marsh's specifications, and going down the river with him as co-captain. Of course, there are a few conditions. York only comes out at night, and makes inconvenient stops as they travel toward New Orleans. Pretty soon, Abner starts to wonder what York is. Abner Marsh is the kind of hero we don't seem to see much of anymore. He's big, ugly, strong, gruff, loyal, and smart enough to realize he's not the sharpest tool in the shed. His personality, his determination, and his desire to do the right thing all ring true, and he's very easy for us to love and follow. The setting is the other key: the story tales place primarily in the 1850s on the Mississippi River. Slavery is still legal - Lincoln hasn't yet been elected, and the Civil War hasn't happened. Zelazny's comment that it's part Mark Twain and part Stephen King is apt, and it's made me yearn for more dark stories set on riverboats. Martin's prose is solid - you can feel both the humidity and evil sweltering as Marsh and York progress further down the river, with bugs buzzing just out of swatting distance. This is a dark fantasy with horror leanings, but to be honest I don't think it's anywhere near as dark or disturbing as G.R.R.M. 's ASoIaF series. It's not the scariest vampire book I've read by a long shot (Tim Powers' The Stress of Her Regard still holds that honor), but it is a fun one. I’m of two minds on Ron Donachie’s narration. Donachie's an accomplished actor, and played Ser Rodrik in G.R.R.M.’s Game of Throne TV show, so I can partially understand the decision to cast him. But…for a novel set on riverboats in the deep south of America, casting a Scotsman to narrate the whole thing seems an odd choice. Donachie’s character voices do sound American (though his pronunciations of words like “clerk,” advertisement,” etc. are definitely British), but the body of his narration does not contain an American accent. After several hours, I was able to just go with it – and in the end it was a very satisfying experience. Donachie’s storytelling is expert, his reading clear, his characters well-drawn, and most importantly: he gets Abner Marsh completely right. In the end, I would have preferred a thick southern drawl telling this tale, and I think this was a missed opportunity for a great match. However, I'll also be very happy to hear more of Donachie's narrations. Fevre Dream is one for fans of Dracula, 'Salem's Lot, and even bits of Interview with the Vampire. Those of us looking for a dark but fun vampire tale, with good characters in a unique and haunted setting are in for a good ride. If you enjoy period pieces, suspense, action, an intriguing story, and oh yeah, vampires, Fevre Dream is one I'd highly recommend. It has it all, with a interesting take on vampire legend and a touch of history to give you a great backdrop. Unlike some vampire stories, everything about Fevre Dream falls into place in very plausible fashion. You really feel for the characters, and loath the villains. The author has given much thought to this story and its structure. I would not waist my time with a rating or recommendation if this book wasn't worth it. Read it and like me, you'll be recommending it before you know it! I really enjoyed the characters in the book that were multi layered. I am not a huge vampire fan but I love GRRM. 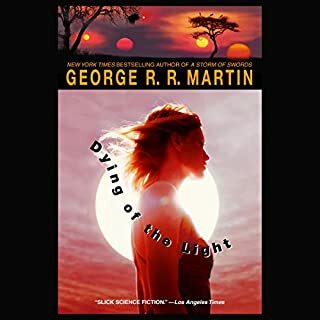 The book was very well written and I would recommend the book but it can't compare to the Song of Ice and Fire series. Would you consider the audio edition of Fevre Dream to be better than the print version? Performance and print were equally good, but I could never make the characters as alive and individual, and "beautiful" as Ron Donachie did. What was one of the most memorable moments of Fevre Dream? Julian's end is so well deserved...and beautifully performed..."whatever shall we do"! Finding out about Joshua's child, and his hopes and dreams for his people. You can't stop listening. Listened well into the night even though I knew what was to come!